Referred to as “Helen of the West Indies” the beautiful and fertile island of St. Lucia changed hands between the British and French 14 times before finally coming to rest within the Commonwealth of Nations associated with the UK. The island is approximately 238 square miles with a population of around 174,000. Though the official language is English, many islanders speak French or St. Lucian Creole. The accepted currency is the Eastern Caribbean Dollar, though the US dollar is widely accepted. A volcanic island, St. Lucia is famous for the Pitons, two peaks that rise to nearly half a mile above sea level. Healing hot springs have been a popular destination for nearly 300 years. Because St. Lucia also has a deep harbour, it is popular with yachties. Geographically diverse, the island has mountains, rain forests, verdant valleys, plantations and magnificent volcanic sand beaches. The St. Lucia Jazz Festival takes place every year in May and is widely attended and considered a major event for Jazz artists in the region. The island has long supported the arts and can boast two Nobel prize winners, one taking the honour in literature. To find St. Lucia villa rentals by owner, for your next holiday, simply select St. Lucia as the destination in the “BROWSE BY” tool bar towards the top of the page. If you have set vacation dates use the “AVAILABILITY SEARCH” box, which blends in/out to the right of the slideshow. Alternatively, you can simply browse through the following list of St. Lucia villa rentals by owner. 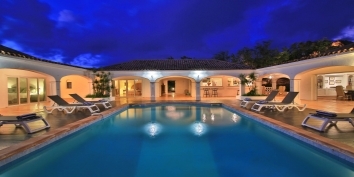 Find out more about Akasha Villa, Cap Estate, Rodney Bay, St. Lucia. Is your St. Lucia villa already unique on CARIBIQUE? If not, find out how to list your Caribbean villa now!